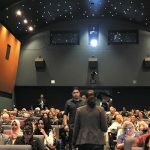 Presented by the Pacific Arts Movement, the 14th Annual San Diego Asian Film Festival opened November 7 and ran through the 15th, showcasing many diverse and culturally rich independent films in addition to speakers and workshops grounded in the arts and new media. The festival traces its roots back to August of 2000, when the Asian American Journalists Association held a film festival as a fundraising event. Realizing its huge potential, the association decided to make the film festival into an entity of its own. 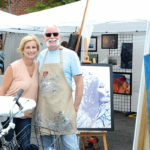 driving force behind the annual festival’s success. After teaming up with writers, filmmakers, journalists and the like, the SDAFF is the second largest presentation of Asian cinema in the United States, showcasing 140 films from 15 countries. 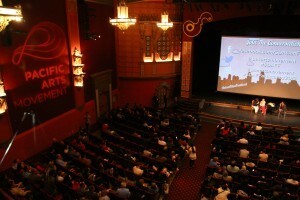 Brian Hu, a North Park resident with a doctorate in film, has been the SDAFF’s Artistic Director for three years. He spoke of the festival’s roots and Kim’s motivation behind the festival. The opening night’s film was “Finding Mr. Right” (Official Selection, 2013 Udine Far East Film Festival), directed by Xue Xiaolu, and starring actress Tang Wei (Best Actress, 2013 Shanghai Film Critics Awards). Finding Mr. Right is a sincere, captivating and honest story about a spoiled, self-serving young woman who comes to America from China while pregnant, forced to learn her own independence as she forges a new, unfamiliar life. The story evolves fluidly, and the characters are believable and compelling. By introducing the audience to a foreign film that broke the mold with its compelling story line and flawless character portrayals, it served as an intimate and creative way to open the festival. The leading actress, Teng Wei, has a way of gripping your heart and drawing you into the story. Xiaolu’s feature film debut came in 2010 with the Chinese-Hong Kong drama “Ocean’s Heaven” starring Jet Li in what was billed as his first role in a drama film. She is also an associate professor and master instructor in the Department of Literature at the Beijing Film Academy and a volunteer with Beijing Stars and Rain, which works with autistic children. 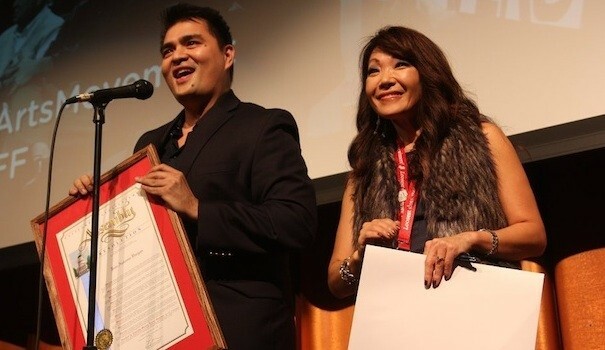 Hosted at the newly christened San Diego Central Library, the closing night’s film was “Documented,” (Audience Award [Documentary], 2013 Hawaii International Film Festival) by filmmaker and immigration activist Jose Antonio Vargas. Vargas is a prolific storyteller, and a Pulitzer Prize-winning journalist who didn’t know he wasn’t a United States citizen until he applied for his driver’s license when he was 16. Vargas decided to reveal his status as an “undocumented immigrant” by writing an essay in 2011 for The New York Times Magazine. Vargas explained that he’s been writing since he was 17, shortly after finding out about his status as an undocumented immigrant, which played a large role in his entrance into journalism. With hope of a better life, Vargas was sent to America from the Philippines by his mother at the age of 12 to live with his grandparents. He and his mother have not seen` each other for 20 years due to immigration factors. Namely, that his mother cannot come to the United States as she was denied a tourist Visa. “Because she’s not wealthy enough to come, she’s in line with other immigrants, so it will be at least another 12 years,” Vargas explained. 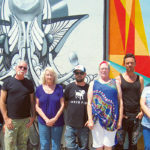 Knowing the risks of being denied reentry back into the United States, Vargas couldn’t leave the country to film footage of his mother, so he sent a camera crew in his place. Documented was co-directed by Ann Lupo, a graduate of NYU’s Tisch School of the Arts, and edited by Sabrina Schmidt Gordon. Both were part of the crew that traveled to the Philippines to shoot the footage of Vargas’s mother. The closing night also served as a fundraiser for the Philippines typhoon relief effort. They generously donated 100 percent of their proceeds to “Typhoon Relief through Gawad Kailinga to send 200,000 food packs to victims and Operation Samahan, a locally-based health center working directly with medial teams in the Philippines in the afflicted areas,” as stated on SDAFF’s website. For more information on the films that were shown during the 14th Annual San Diego Asian Film Festival, visit festival.sdaff.org/2013/.